Remembered for governing the Republic of Texas during the 1830s and '40s, he served as interim President, Vice President, and Secretary of State of United States-annexed Texas. Before beginning his political career, he studied and practiced law in Cincinnati, Ohio; briefly established himself as a merchant in Louisiana; and lived for a period of time among members of the southwestern Comanche Native American tribe. A devout Presbyterian, he organized his denomination's first Texas-based Sunday School program. The son of Gertrude Gouverneur Rutgers and Continental Congress member Dr. William Burnet, he spent his early years in Newark, New Jersey. 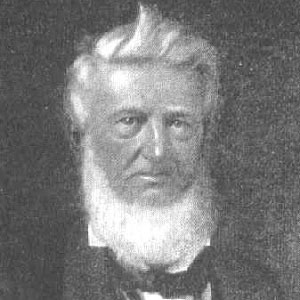 His marriage to Hannah Burnet resulted in a Confederate soldier son named William Estey Burnet. He moved to Mexican-controlled Texas in the mid 1820s to become a member of Stephen Austin's newly formed colony.